If you want adventure, what better way to find it than behind the wheel of a boat? Take a summer to explore the coast of Maine. 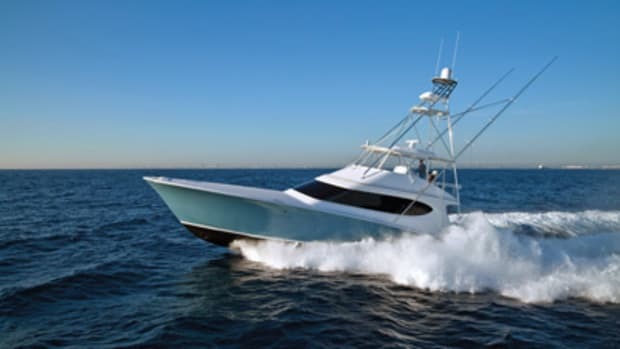 Head offshore and land your first blue marlin. Dive for lobster in the Florida Keys. Paddleboard in the British Virgin Islands. Maybe cross an ocean or go on an Arctic expedition. The possibilities are endless. What makes this new Eastbay an ideal near-coastal explorer? Start with her performance and ride. 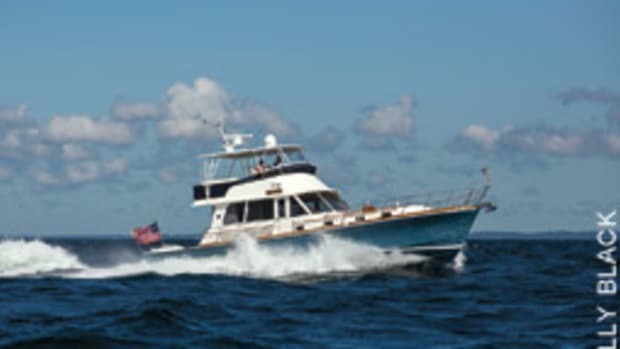 Owners can cruise far out in the Bahamas or up the Inside Passage at 20-plus knots. Speed allows you to run from poor weather, and to go beyond the beaten path in less time. This adventure yacht hits 42.7 knots wide open, and at a cruising speed of 22 knots, the Eastbay has a range of 433 nautical miles with a 10 percent reserve. Bump her down to 17.5 knots, and your range jumps to about 475 nautical miles. No worries if you run into some challenging seas. The 44 Eastbay SX rides a deep-vee C. Raymond Hunt-designed hull. She’s built with high-end materials — the latest E-glass, vinylester and epoxy resins, stitched multiaxial fabrics and lightweight linear foam. 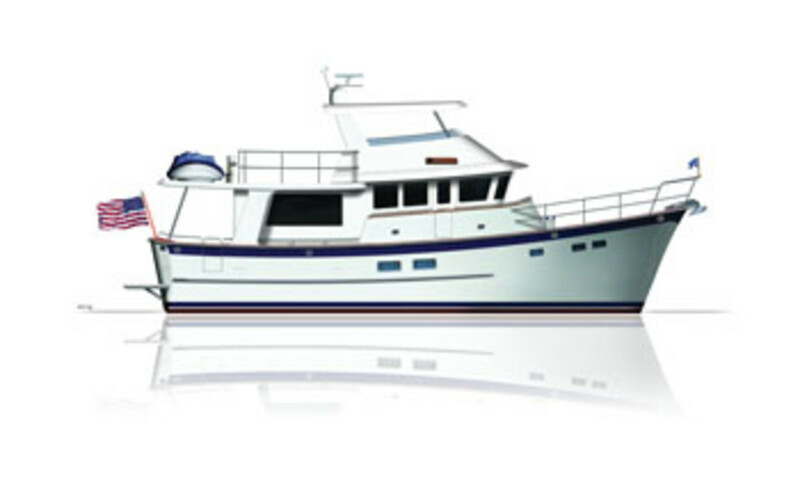 The light yet strong construction gives her longer legs and solid fuel efficiency. Along with her performance and construction, the Eastbay shares the Grand Banks DNA. The 14-foot-7-inch beam carried forward allows for a utility room, extra optional freezer, optional washer/dryer and three staterooms, all in a manageable 44-foot Down East express cruiser. Grand Banks embraces the latest technology while ensuring its vessels remain simple and reliable. The easier things are to understand and use, the more time you’re out on the water. Case in point: The IPS 600s and accompanying joystick steering on the Eastbay make docking and low-speed maneuvering a breeze. For accommodations, in the main saloon you have a roomy space to relax and dine. Electric drop-down windows open the boat up on all sides. 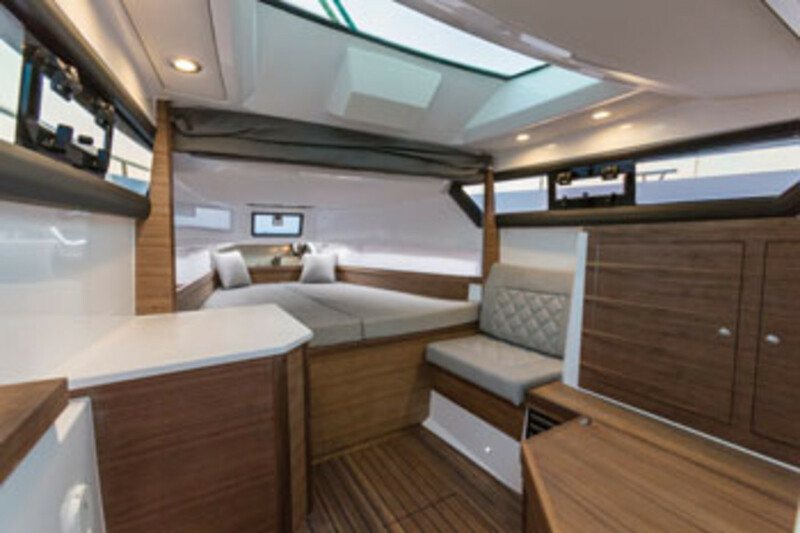 The saloon includes a straight galley (with an induction cooktop, refrigerator, sink and picture-window view) to starboard and a dinette to port with a U-shaped settee. A starboard door leads to the cockpit, with its teak sole, L-shaped settee and mezzanine-style seat — a great place to sit while cruising or watching someone fight a fish. A starboard transom door leads to an oversized swim/boarding platform. You can carry paddleboards, kayaks and other water toys on the hardtop. You’ll feel safe moving about the boat, with its wide side decks, high bow rail and multiple handholds. The IPS 600s — as well as the battery boxes, water heater and freshwater system — can be accessed under a cockpit sole hatch. 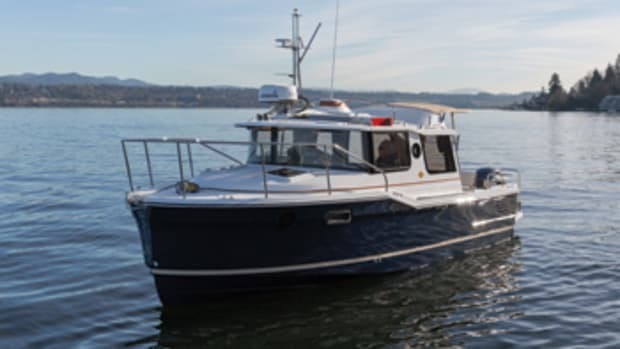 The Eastbay has her innards in order, but don’t forget her eye-pleasing exterior: a prominently raised trunk cabin, three-pane windshield, navy blue hull and teak trim. She’s a true adventurer, and a good-looking one at that. The Krogen is built with lead ballast, multiple watertight bulkheads and aramid fiber reinforcement, for heightened safety and seaworthiness. The displacement-to-length ratio, fine entry and characteristic wineglass transom combine to deliver a seakindly, stable ride. Adventure on a Krogen is cushy. “You have the same off-the-shelf comfortable mattresses you have in your house,” Polster says. The master head has his-and-her sinks and hanging lockers, deep-drawer stowage and a walk-in shower. Do your laundry in the separate household washer and dryer. There’s more stowage for food, clothing and supplies. The galley has a household refrigerator and a pantry space. And the 50 Open is available in two- or three-stateroom arrangements, making it easy to bring friends on the adventure. 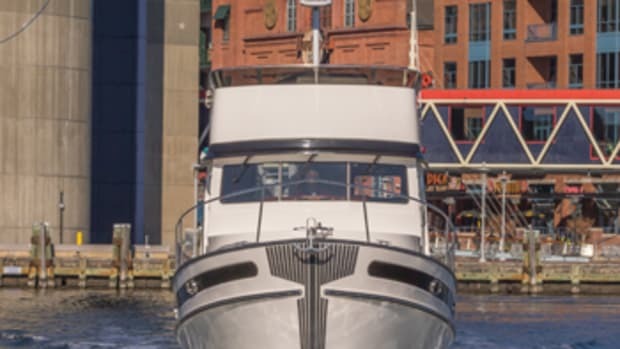 She’s built with ship-like structures and safety and maintenance features, such as a Portuguese bridge, port and starboard wing stations, an engine room with 7 feet of headroom and an uncluttered foredeck with waist-high rails. 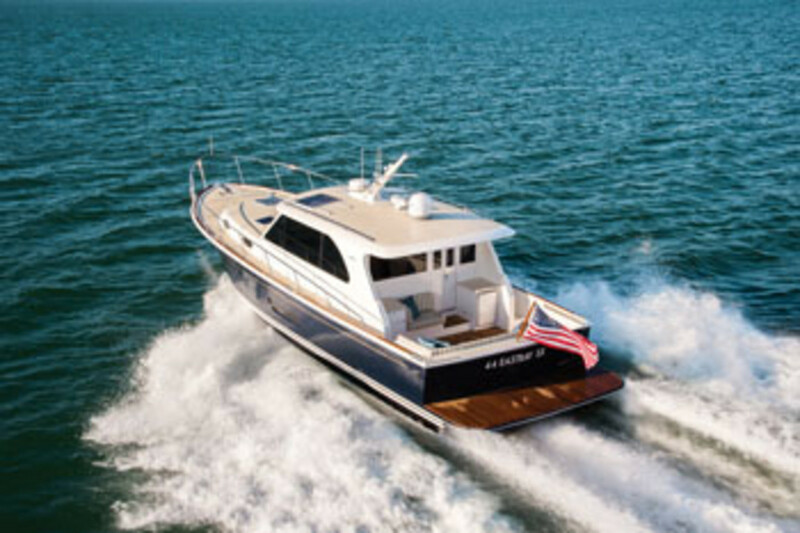 The flybridge is available with an optional hardtop and summer galley, and can seat up to eight. There’s also space on the flybridge for small watercraft, bikes and a life raft. The first 50 Open is expected to debut in 2018 at Yachts Miami Beach. 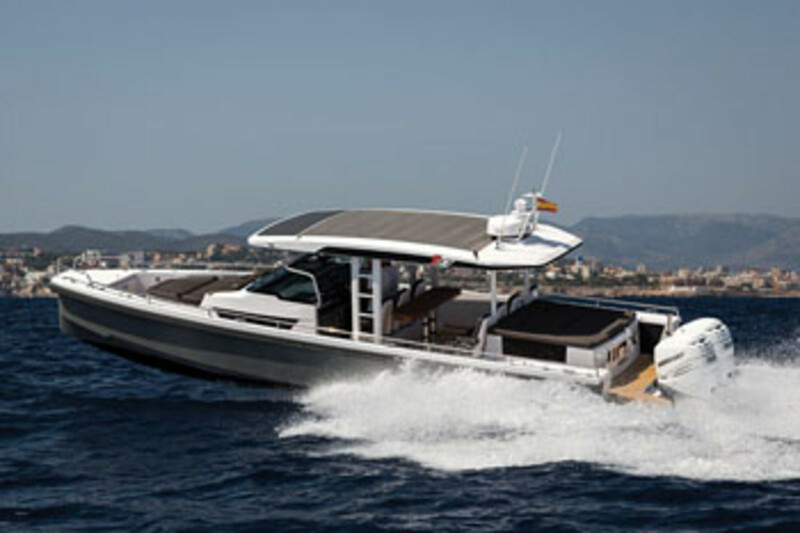 The Axopar 37 SC (Sports Cabin) is ideal for shorter day adventures, whether it’s diving, kayaking, fishing or discovering a new hideaway to drop the hook. 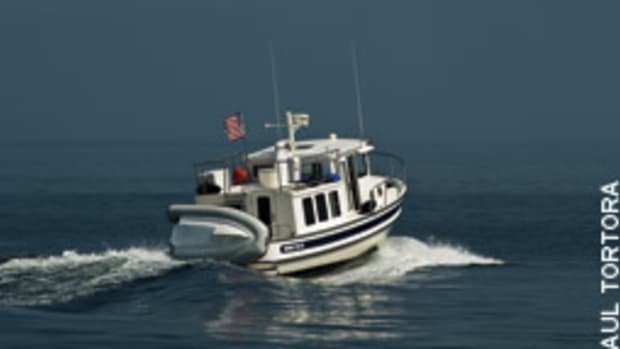 But the boat, with its enclosable pilothouse and cabin, also gives you a place to escape inclement weather or do some overnighting. The Axopar is the fifth version of the Finnish builder’s 37-foot, outboard-powered sport boat. The first four consisted of two pilothouse versions (one with an aft cabin) and a pair of T-top models (with forward cabins). Axopar, using a raked windshield, has created a sleeker version of the cabin models with the SC, says Axopar founding partner Jan-Erik Viitala. With a deep-vee bottom (21-degree transom deadrise), sharp entry and wide chines, the Axopar is designed to go fast and far in comfort. “The hull design, low center of gravity and low weight make the boat’s handling and control feel more like a speedy RIB,” Viitala says. Simply put: It’s a blast to drive. When it’s time to slow down, the Axopar has a bow sunpad, wide side decks and an aft deck with options that include a wet bar. 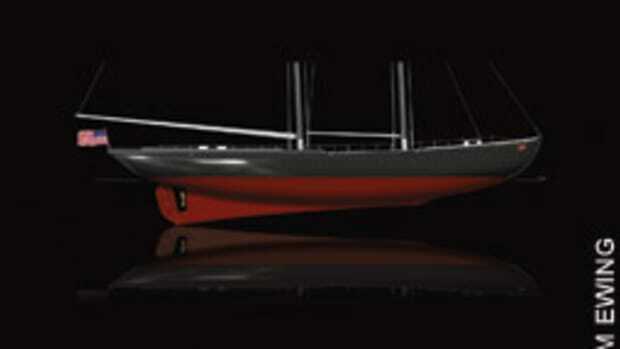 An optional mesh canvas covers the foredeck. Wide sliding pilothouse doors and a powered overhead hatch open the saloon into a bright, airy dinette than can be equipped with a mini-galley. The Axopar’s twin-step hull reduces drag and boosts efficiency, so you can go farther on less fuel. 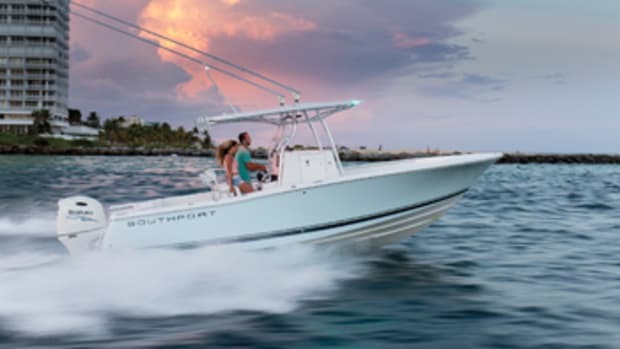 At about 30 mph with twin 350-hp outboards, the boat has a range of about 250 miles. 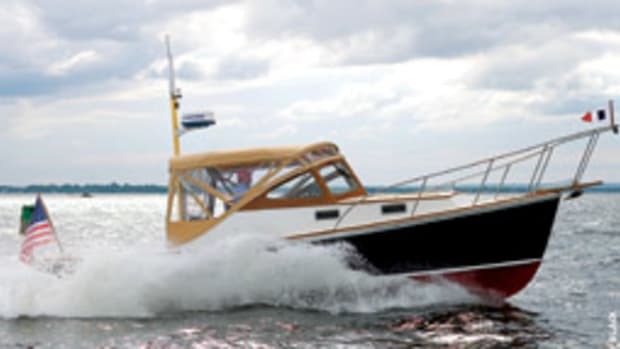 “Other boats of this size need three engines, while we require just two, saving you that one additional engine in price and servicing costs,” Viitala says. Want to get away for a couple of overnights? The Axopar has a double berth forward in the cabin, a head, integrated stowage, cupboard space and a cabin seat. There’s room to stow the toys, too. Kayaks can be strapped to the top, and aft deck compartments can hold paddleboards and scuba tanks. Access to the water is via the open transom design. If you want a speedy, versatile, do-everything coastal explorer, the Axopar deserves a close look.